the life of the Theosophical Society (Adyar). Original Program of the theosophical movement. Section of the T.S. during the same period, 2000-2013. Mrs. Radha Burnier, the president of the Adyar Theosophical Society since 1980, has passed away on October 31, 2013. She led a life of altruism. She was a strong and inspiring leader. One could make a Pythagorean review of the TS efforts under her leadership. Mrs. Burnier held the office of International President of the Theosophical Society for 33 years (1980-2013), which is far beyond that occupied by any of her predecessors. She brings with her a sort of inherent culture. She belonged to a family associated with the work of the Society almost from the time of its arrival at Adyar (Madras/Chennai) in 1882. She was born on the campus of the Society and lived therein (except for few years) all her life. She studied the languages and philosophies of the times, held offices such as General Secretary of Indian Section (the largest in numerical strength), was the Director of the Adyar Library and Research Centre, one of the remarkable centers in the world. Mrs. Burnier was also the President of Theosophical Order of Service, Besant Educational Fellowship, New Life for India Movement, Environmental Society, etc. She was deeply interested in the spiritual regeneration of humanity, among other lively themes. 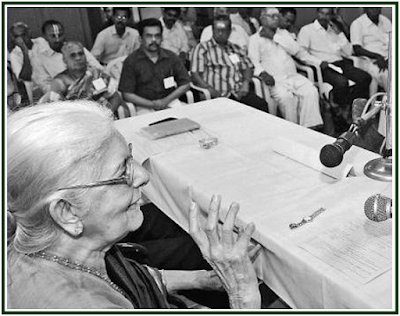 She was also involved with the work and philosophy of J. Krishnamurti, and helped in reestablishing his Centre in Madras in its troubled times. What’s your general view of the historical period between 1980 and 2013? Any period in history is “contemporary” and the same time “transitory”. 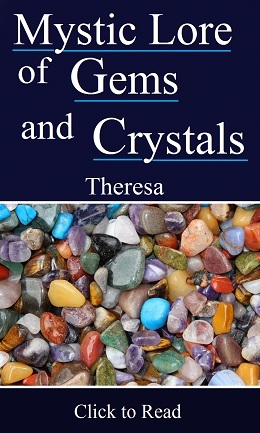 This was comparatively a “peaceful” and “comfortable” period for sincere and genuine work, particularly in the sphere of popularizing the theosophical ideals, principles and tenets. Ground work was well prepared and seeded by the earlier generation members and leaders. There was verbal and vocal acceptance for all good things and concepts, but the behavioral patterns of people were diametrically opposite. A sort of “artificial” and “pseudo” structure came to be established in all walks of life. Undeclared confusion in the human consciousness became the “order of the day”. Wrong and unethical values of life have come to be obtaining “acceptance”. All this needed a continued and consistent “good and advanced work” from organizations such as the Theosophical Society. What were some of the major accomplishments in these decades? Survival and Sustenance of Human Values, in spite of the confused state of human predicament, appears to be the hallmark of the period. “Satyameva Jayete, naa anritam” (Truth alone survives victorious, not the unrighteous) is the hope of the Few who are determined and rooted in Intelligence (Dharma Nishta and Sthita Prajna). A lot of Unfinished Agenda is before them and needs to be pursued effectively and logically. What good things could have been done, but were not possible, and why? Goodness is the fundamental and ultimate virtue; it can be forked in numerous rays. Once it is definite that “To Live to Benefit Humanity” is the highest ideal worth living for, men and women of the world choose their unique and particular way. 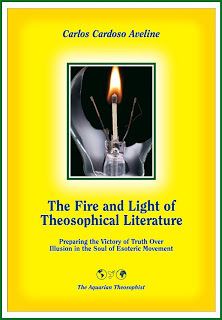 In order “to popularize the doctrines of theosophy”, there is unavoidable need to present the doctrines in the popular and presentable language of the ever-changing times. Rewriting and retelling the concepts; ruling out the thin line of demarcation between the ancient and the modern thought is necessary. The Adyar Library was established in 1886 to encourage the study of Comparative Religion, Philosophy and Science among educated classes. There is a need to tune them to the study of theosophical tenets, establishing peace and harmony in the Human Heart, and making them the “living truths” of the day is apparent. Reinterpreting the truths in the present day context, not just reiterating them, and bringing up new series of texts in the world-languages could be accelerated. We need literature to improve the “quality of life” and to pave the way for the bright and well illuminated future of humanity at large. 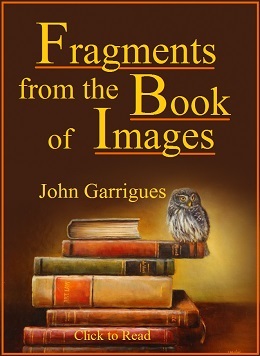 The intrinsic and implied meanings of the three declared objects  and the few “undeclared” objects are to be focused sufficiently well to show them as the basic need for human advancement in its total panorama. Added to the Man-power, the need is “Will-power”. Looking at the accumulated experience since 1980, what are some of the main lessons regarding the future of the Adyar Theosophical Society? To live up to the “Original Program” and to ventilate the fundamentals of the “esoteric” philosophy that have rightly become the “exoteric”. To improve the circulation of theosophical literature, periodicals and magazines committed to the doctrines and their dissemination. Making “real” the three objects: helping the Human nature dovetail into the Divine. Considering that just like seeds planted, small actions may have great consequences in due time, what should be done now, in order to pave the way to a correct future of the theosophical movement and with regard to the certainly bright future of mankind as a whole? Bringing together all the Right-minded and the like-minded population into a common stream and showing that “there is no other way” (Na-anyah-pantha) to the welfare and prosperity of the planet. Total elimination of the personality and every notion connected with “I and Mine”; and a deep resolve to adhere to the Collective Good. What are the main duties of the theosophical movement towards “the great orphan”, humanity, in the first half of the present century? To tell them convincingly that they are the “orphan” and there is a way to “redeem” and “restore” them. To tell them that they have a Spiritual Right on the globe/universe; there is absolute need to dispel the ‘intellectual pride’ (not allowing that to become the spiritual pride). To make it abundantly clear that the “future” depends on what we do now; and to see the “duration” as continuous and time as mere “continual”. Consciousness is a deep ocean, eternal and infinite. What can each sincere theosophist around the world do in order to help the theosophical movement fulfill its duties? To be deeply soaked in the “fundamental” and ineffable doctrines as envisaged and as would be found out, rediscovered; help others see the truth of the matter and “honestly” live up to what they believe. To allow no dichotomy between Precept and Practice, Belief and Behavior, Promise and Performance -; this must be the minimum program. What kind of leaders does the theosophical movement need now, in the Theosophical Society (Adyar) as in other associations, and globally as well as locally? A leader must always be the one who stands out Unique and Important, though not proclaiming himself as such, and readily prepared to understand the universal mind.